At the rate we're goin', Dom and I might as well drop sample sets for OutKast's discography. ... Cough. You'd emphasized that Outkast's beatmakers were (largely) instrumentalists, using few to minimal actual samples, but will these sets be expanded/added to in the future? It may be that I'm just used to seeing bigger sets out of HHIR (you guys do some serious trackdown), but I've got a friend who's a musician and a huge Outkast fan and I want to be sure the lists are comprehensive before I share these. It's very difficult for us to say with certainty that these sets are 100% complete. We can say with certainty, however, that no OutKast set will exceed a set for artists like Public Enemy, Ice Cube, or even Kanye and Jay. There is always the chance that some fellow sample junkie will come along with a bombshell of a discovery. But until then, these sets are as complete as possible. 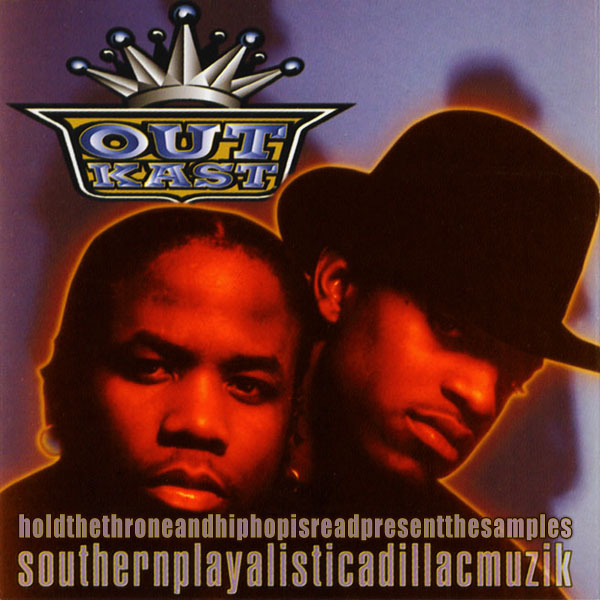 If you'd like to hold off, I was planning on zipping up the OutKast sample discography into one link (if it'll fit) once we do all the albums. Cool?